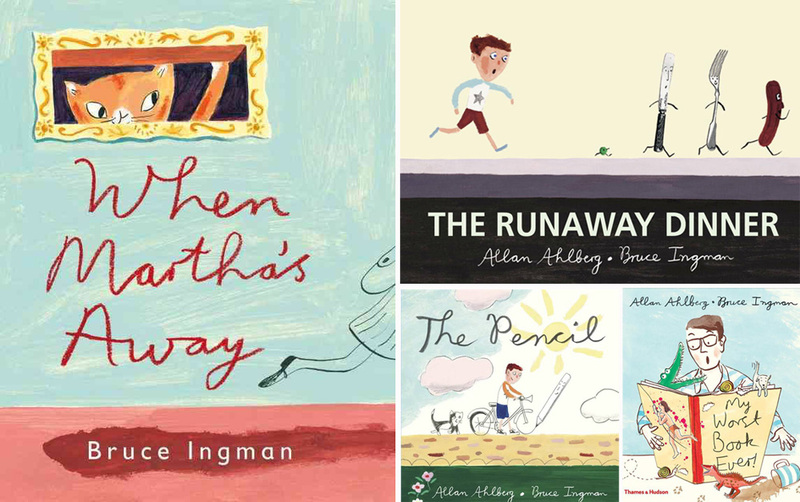 We are super excited to share another inspiring Top Ten book list, this time from Bruce Ingman — an award-winning and much-loved author and illustrator based in London. 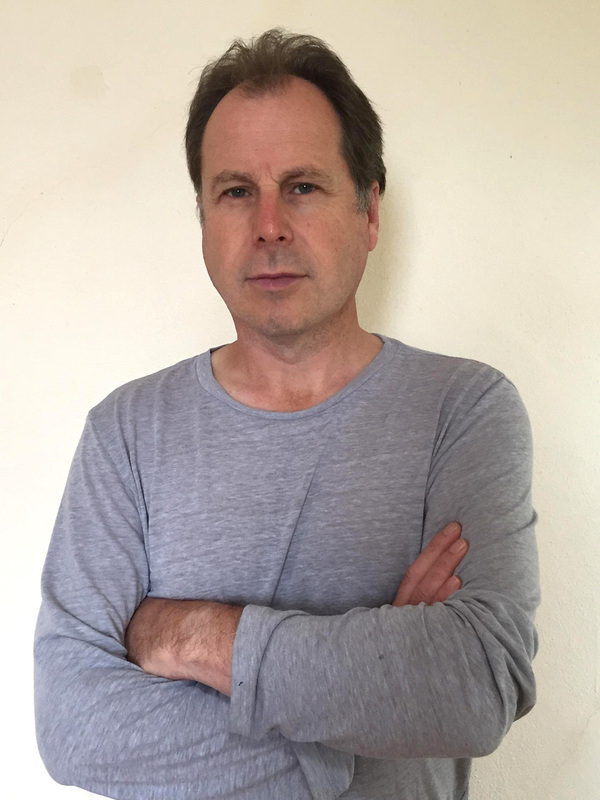 After teaching at a number of art colleges and illustrating for many well-known magazines, Bruce wrote and illustrated his first book, When Martha’s Away, in 1995 , which won the The National Art Library Award as well as the prestigious Mother Goose Award as the most exciting British newcomer to children’s books. Since then, he has written and illustrated several books, including several in partnership with Allan Ahlberg, who recently shared his ten favourite children’s books with us. Bruce and Allan’s most recent book, My Worst Book Ever, is a charming tale of the making of a book and all the things that can go wrong in the process. We feel incredibly lucky to have received book lists from both of these inspiring artists. Bruce’s list in particular includes so many authors/illustrators who would be on my own personal top ten list. John Klassen! William Steig! Tomi Ungerer! And I love that he just had to throw in an 11th addition as well. Because what book list would be complete with out it?! This is a perfect picture book, beautifully written and illustrated, and a favourite in our house. I know many adults who can recite the story from start to finish. From my own experience of reading the books I’ve done with Allan to a class, his writing is so suited to reading aloud that it stays with you. I could have chosen any number of John Burningham’s books but this one has as much relevance today as ever it had. The illustrations are so atmospheric and have a beautiful sense of place. Quentin (Blake) put us on to Andre as students and this has so much invention and witty absurdity on every page. This is totally original and inventive. The words and pictures are just so perfect together. I have a copy signed by Russell Hoban saying, ‘Best wishes for happy fooling around”. I love the electric pace of the drawing, so full of life and vitality. I’m very excited to be working on a book with David at the moment. So funny! I love the fact that we have to go back to almost the beginning to get it. The illustrations are so full of emotion. I like the black humour. Every story is brilliant. The characters are brilliant. Always kept me spellbound, never mind the kids! I came to James Marshall relatively recently and I adored reading them to my children. They are so acutely observed, the age differences fell away; we loved them all and each had our favourite stories. Hilarious, sharp-witted, unique, Steig at his inimitable, effortless best. ‘Fank you very muss’ became a catchphrase in our house. Choosing an Ungerer is a hard one, Mellops? Robbers? Moon Man? All belong on the list. I finally decided to pick the one that reminded me of ‘The Yellow Rolls Royce’, a film I liked as a kid. It’s very filmic and there’s always a hint of menace that gives all his books such resonance. If I were to be allowed one more book, it would be this. I never tire of looking at it; it’s so beautiful on so many levels. There really should be no list without it . . .